As a board-certified ophthalmologist who specializes in neuro-ophthalmology and oculoplastics, Alethia Pantazis, MD, at Vitality Medicine in Ocala, Florida, is passionate about treating disease found both inside and around the eyes. The eye is the window into each patient’s true health status and is one of the most noticeable features on a person's face. As Dr. Pantazis performs eye exams, she discovers signs that guide lifestyle modifications and medical therapies. By helping each patient optimize his or her weight, diet, and lifestyle she can help to treat and prevent future disease. 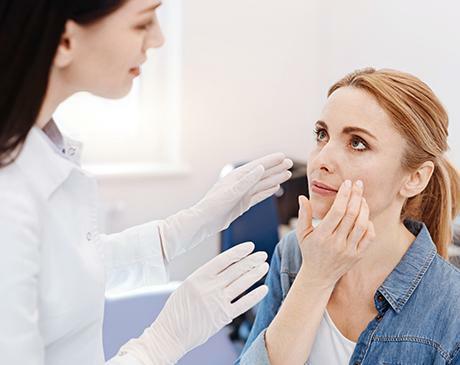 By listening to her patients’ complaints about his or her appearance she can offer appropriate therapies and treatments, thereby enhancing each patient's self-esteem. After graduating from the Georgia Institute of Technology with a Bachelor of Science in chemistry and a minor in biology, Dr. Pantazis received her medical degree from NEOMED, then called the Northeastern Ohio University College of Medicine in Ohio. Her training continued with a transitional medicine/internship at Summa Health System in Akron, Ohio, followed by an ophthalmology residency at John H. Stroger Jr. Hospital of Cook County in Chicago and a neuro-ophthalmology fellowship at the University of Iowa. She is continually obtaining certifications and furthering her education through the Academy for Anti-aging and Metabolic Medical Institute (A4M/MMI) and the Institute for Functional Medicine (IFM). Dr. Pantazis serves as an attending physician at Malcolm Randall VA Medical Center in Gainesville, Florida, where she practices comprehensive ophthalmology and neuro-ophthalmology, and also performs oculoplastic surgery. She is part of the teaching staff for the University of Florida’s ophthalmology residents. When she is not helping patients, Dr. Pantazis is passionate about volunteering in the community. She’s actively involved with the Arnette House Inc., where she’s a board member. She volunteers at St. Basil the Great Eastern Orthodox Church and St. Raphael Orthodox Church, working for Food for Orphans and Serbian orphan relief. She’s also dedicated to numerous other community charities, including Blessed Trinity High School, Orthodox Christian missions, Brothers Keepers, and Interfaith. In her free time, Dr. Pantazis enjoys spending quality time with her husband and four children. She is a Suzuki method violinist, enjoys exercise including Ultimate Frisbee, and enjoys cooking and reading. Her favorite things to read are the latest advancements in eye disease treatments, brain health, and beauty. 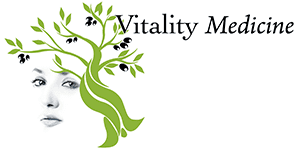 Vitality Medicine has teamed up with the Eye Care Center of Ocala to provide Quality Care at Affordable Prices!